No sooner is the Borders Book Festival over than it’s time for the Melrose Festival, another big event in our summer calendar. This year our festival takes place from the 20th until the 25th June. The Melrose Festival is one of the Scottish Borders Common Riding Festivals. Each Border town has its own unique celebration marking the boundaries of that town and some such as Hawick and Selkirk date back hundreds of years. The Melrose Festival is more modern dating back to 1938 to celebrate the town’s history and has the Melrosian as its central figure. This year’s Melrosian is Struan Hutchinson from the adjacent village of Newstead who is currently studying Sports Management at the University of Northumberland. Struan was previously a member of the Queen’s Court at the Melrose Festival a year ago. 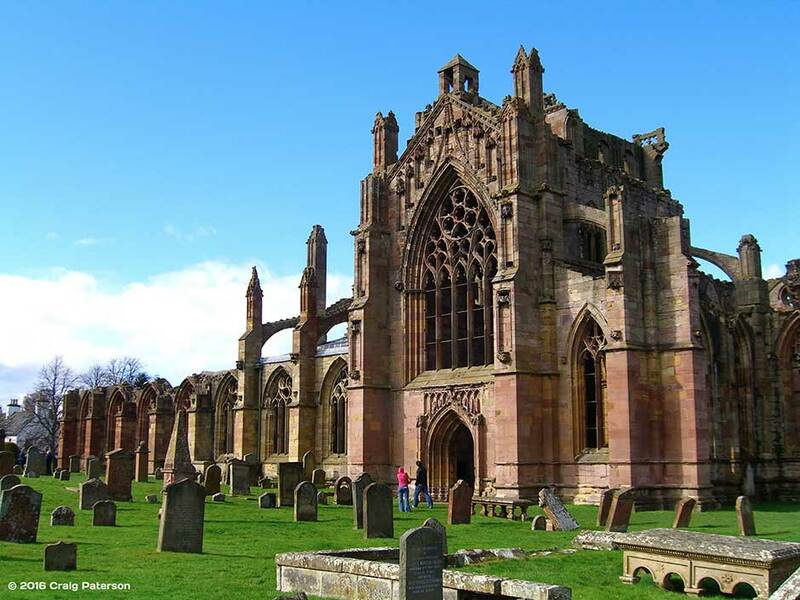 The Festival Queen is a key part of the week with the crowning of the Queen and her court taking place on the Thursday night at the picturesque and historic setting of Melrose Abbey. Sunday 19th – Opening ceremony followed by the ‘Kirkin of the Melrosian’ in Melrose Parish Church, followed by a festival of football in the afternoon. Monday 20th – The ride out by horseback leaves the famous home of the Melrose Sevens, the Greenyards, at 6pm returning at around 9.30pm for a ceremony in the square just outside Burts and the Townhouse. Tuesday 21st – Is the highlight for the children, and many of the adults, with the Fancy Dress Parade which take place at Gibson Park. Wednesday 22nd – Is the unique ‘Melrose cycle’ which first took place during the foot and mouth outbreak when the ride out was not able to take place and is now a central part of the festival today. This is followed by a barbecue. Thursday 23rd – Is the ‘Crowning of the Festival Queen’ at Melrose Abbey, one of the highlights of the week and a great photo opportunity. Friday 24th – Is the Festival Ball when we dance the night away. Saturday 25th – The ‘Tour of Ceremonies’ begins in the Market Square at 9am, with visits to Newstead (home of this year’s Melrosian), Gattonside, Abbotsford, Darnick and then Melrose Abbey. Other events on the Saturday include a sports day, pipe music in the square followed by the final dinner. June is a great time to visit Melrose, but don’t worry if you can’t make it on this occasion, there are plenty of events all year round – just take a look at our website or the Melrose Living website which is full of information about the town.